What can I tell you about trèStiQue? I can't say enough! I'm absolutely in love with this new line of beauty products. Jack and Jenn, two industry veterans, have created a line of simple products with great quality and beautiful color choices. 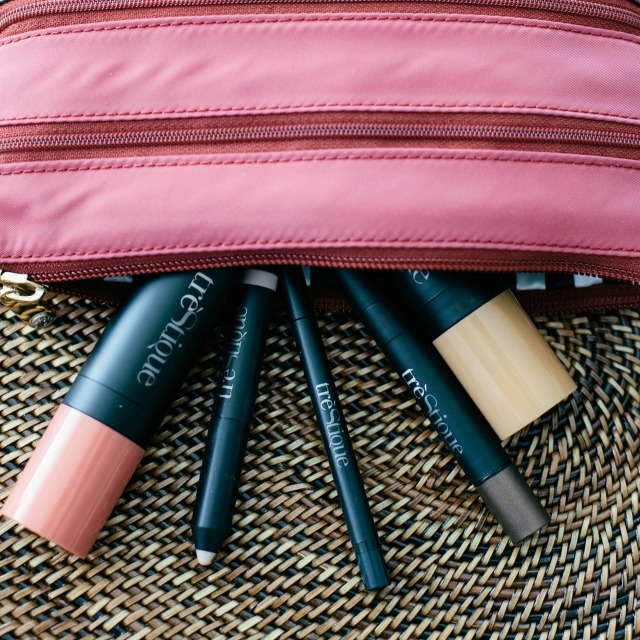 All the products come in a super easy to use pencil style, with a magnetic closure and are perfect for on the go gals like myself (my on the go bag seen above here). 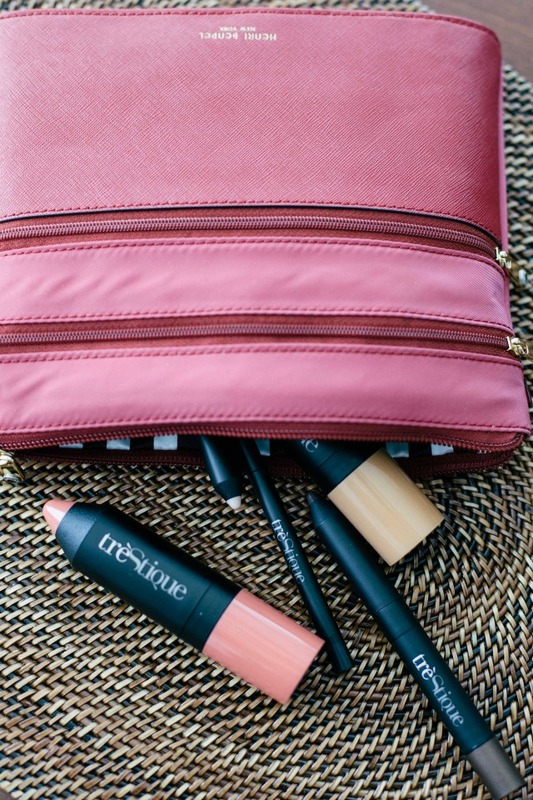 trèStiQue is my new beauty obsession and I honestly can guarantee you'll love it too. My favorites? The Shadow Crayon in Tibetan Ivory and the Bronzer Stick. Love discovering new brands! I have never heard of this brand so thank you for introducing! Love the color of that pink pencil stick! Looking forward to trying out this brand!